Three sharks found on the shores of Cape Cod, Massachusetts, this week likely died of “cold shock” as frigid winter temperatures hit the East Coast, according to shark experts. The three thresher sharks were all males and all close to 14 feet long. Two were found Wednesday on Wellfleet and Skaget beaches. The third was discovered Friday near Brewster. Atlantic White Shark Conservancy experts examined each animal and determined they “likely succumbed” to cold shock, though they won’t know for certain until necropsy results are available. 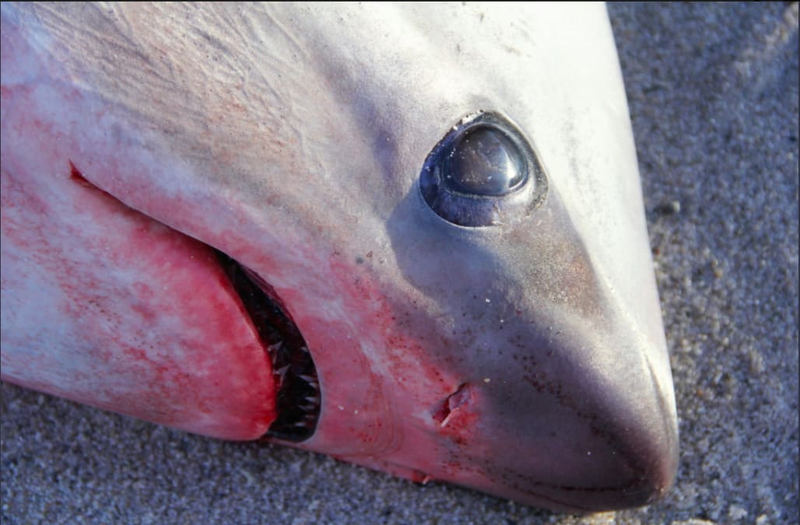 Organs and tissue samples were collected from the first two, and the third shark was taken to the fisheries service center of the National Oceanic and Atmospheric Administration to thaw. The sharks, which are common off Massachusetts, were most likely moving south with the warmer water when they got “caught by the hook” of Cape Cod and were hit by the cold, the shark conservancy said on Facebook. Cold shock occurs when an organism is suddenly exposed to extreme dips in temperature. It can cause muscle spasms or cardiac arrest. Sharks affected by cold shock may become stranded on land and quickly suffocate. Temperatures in Cape Cod have dipped to as low as 5 degrees in the past week. NOAA biologists, meanwhile, managed to save several sea turtles from cold temperatures in Texas. After an alert from fishermen in Christmas Bay near Galveston Island, NOAA biologists located a “cold-stunned” sea turtle and later found 17 others. All were brought to NOAA’s sea turtle hospital in Galveston for rehabilitation. They’re being fed veggies, squid and shrimp, according to a Facebook post.